Paul Rowe suggests that a healthy version of secularism would allow those with religious views to express and act on those views. He invites those interested in such issues to participate in ‘Our Whole Society’ March 22 – 24. It’s a commonly held position, and summarizes the way that many people in our society think about the intersection of religious faith and public life. A possible solution to the problem of dueling religious beliefs is what we like to call secularism. Originally, this idea was about separating the authorities of church and state: render unto Caesar what is Caesar’s, and unto God that which is God’s. But secularism of such a sort perhaps sounds a little too Christian – it was Jesus who made this statement, after all. Over time, secularism developed a more robust meaning in many people’s minds. It meant that we had to eliminate all thoughts of a religious nature from our public life. In a secular state, so the thinking goes, the government does not seek to impose one or another belief on anyone. Religious people go about their religious lives and don’t bother the rest of us by making demands that we abide by their peculiar beliefs. Of course, in reality this is easier said than done. For example, whenever governments legislate, they are making moral choices. Most of these may seem morally trivial: should we invest in a road here, or there? Should we allocate an extra two percent to the education budget, or draw the line? But at some point, those public policy decisions become less morally trivial – they become about life and death, or equality rights, or freedom of speech. In these cases, it makes little sense to say that faith cannot have a role to play in informing our public discussions. For many, it would be impossible to articulate a position on these issues without some sort of recourse to a faith tradition. Given the necessity of answering some of those deeper moral questions, secularism either has to make use of what we call a normative philosophy of life or a religious one. The complexities of how a society promotes secularism have led to a multitude of different forms of secularism. He goes on to identify nine different forms of secularism on a spectrum from atheist regimes like the former Soviet Union where religion was formally persecuted to so-called theocratic regimes where religion is institutionalized as the law of the state. In between run various different attitudes secular society might have toward religion, from the “laic” form used in France to the “weak establishment” of religion in places like Norway or Denmark. One of the problems of secularism, especially in its more laic form, is its tendency to rule out of court the very things that make many human beings feel like human beings. By purposely excluding religion, we may purposely exclude members of our society with whom we merely disagree. I have spoken in many contexts about religion and public life in Canada and it is common for Canadians to presume that we live in a “secular” society. What they mean by this varies as widely as the many different definitions of secularism identified by Ran Hirschl. That would suggest that Canadians have every right to be religious in their public life except under those limitations justified by the rule of law. That opens up a great deal of debate about where we should set those limits, but it also suggests that those who invoke God are at least as Canadian as those who do not. Now I don’t for a moment think that the preamble to the Charter of Rights and freedoms implies the institution of some sort of theocracy. But I do think that it at least means we shouldn’t exclude religious people, or make our disagreements about issues of faith a basis for excluding one another. A society in which people of faith may participate whole-heartedly, where their beliefs are not confiscated at the door to our public forums, would be a much better “secular” society than one which seeks to eliminate all the vestiges of faith. A secular society then is one that promotes our inherent plurality, not one which seeks conformity to some form of irreligion. What would such a society look like? It would need to involve members of our whole society – people of all faiths and none. It would be truly pluralistic and it would mean at the least tolerating our differences and at the most understanding that those differences are an asset. From March 22 – 24, the Our Whole Society conference will be held at Robson Square in Vancouver to explore the possibilities of such differences. I hope to see you there. 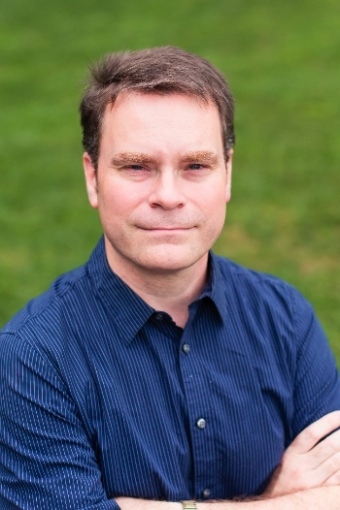 Paul Rowe is associate professor and coordinator of political and international studies at Trinity Western University. His PhD dissertation focused on the politics of Christian minority communities in Middle Eastern states and he studies the politics of religious groups in developing countries and at the global level. He is the author of Religion and Global Politics (Oxford University Press Canada, 2012) and edited – with fellow TWU profs John Dyck and Jens Zimmerman – Christians and the Middle East Conflict (Routledge, 2014) and Politics and the Religious Imagination (Routledge, 2010). He is on the steering committee of the Our Whole Society conference.